You need plenty of snacks on hand to satisfy that craving. 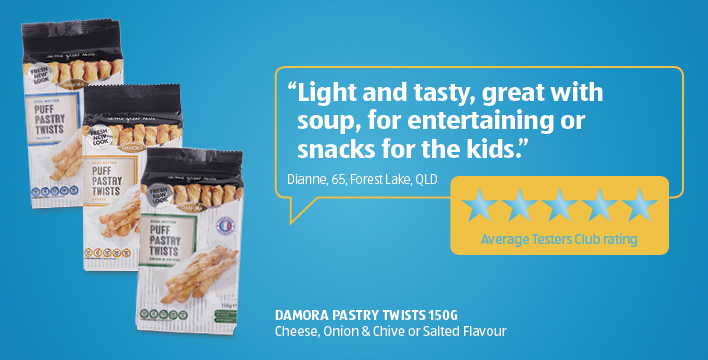 See what our Tester's Club members had to say about our irresistible snack selection. "Will definitely be purchasing these in the future! A real hit at our house :) ". "Would go nicely with some pesto but equally good on their own." "Overall a tasty treat to have either on their own, in dip or with cheese." "They were so popular that I went out @ bought more @ they quickly disappeared." "Great to eat cooked or raw. Enjoyed by the whole family." "Lovely fresh and crunchy nuts everyone loved them as a snack." "Great snacks. They are very flavoursome and fresh." 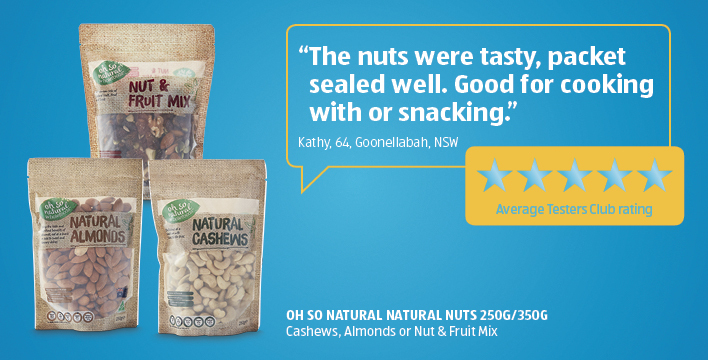 "I took these to work each day for a snack would defiantly purchase I loved the mix of nuts." "A delicious salsa perfect for nachos." "Seriously addictive. 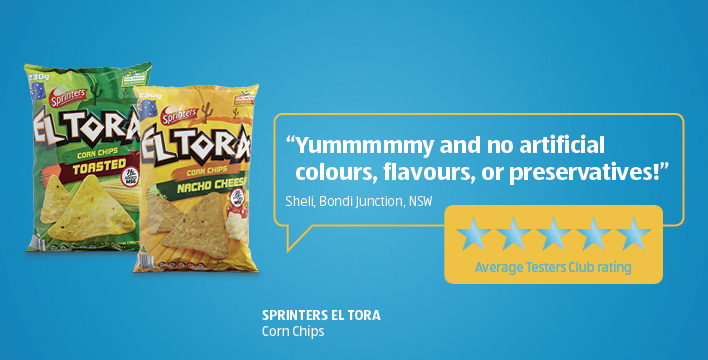 Was fantastic with the corn chips!" 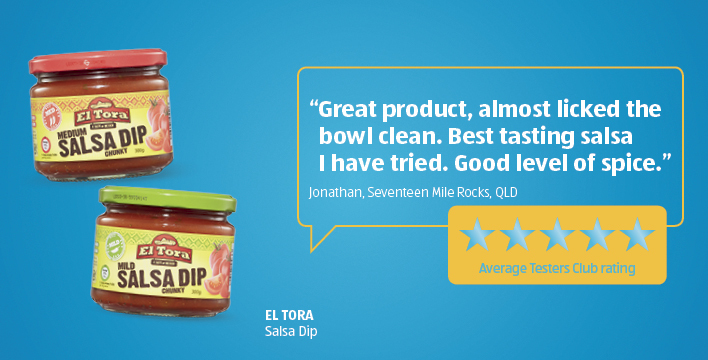 "I'm in love with Aldi's El Tora Salsa Dip. It has the perfect consistency and burst of flavour to complement any meal." 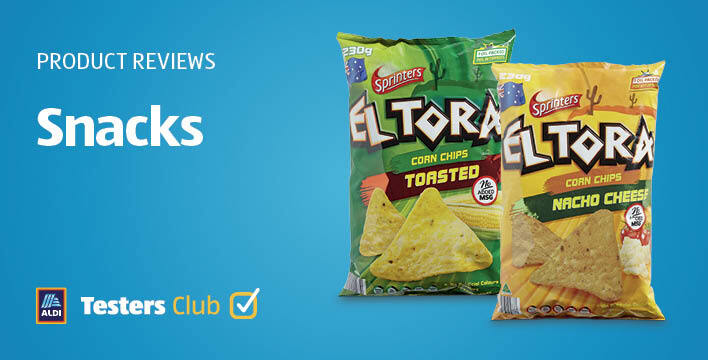 "Once again Aldi products do not disappoint, chunky dip which goes very well with the Nacho chips." "Perfect mid afternoon snack! Always crunchy and fresh." "Delicious and cheesy. Crunchy and moreish. These chips did not last long!" "Another staple in our pantry!!! Nacho cheese are our favourites whether teamed with salsa or turned into delicious nachos. They are full of flavor and full of crunch!" "Great tasting - guests didn't know the difference between these and the more expensive better known brand."